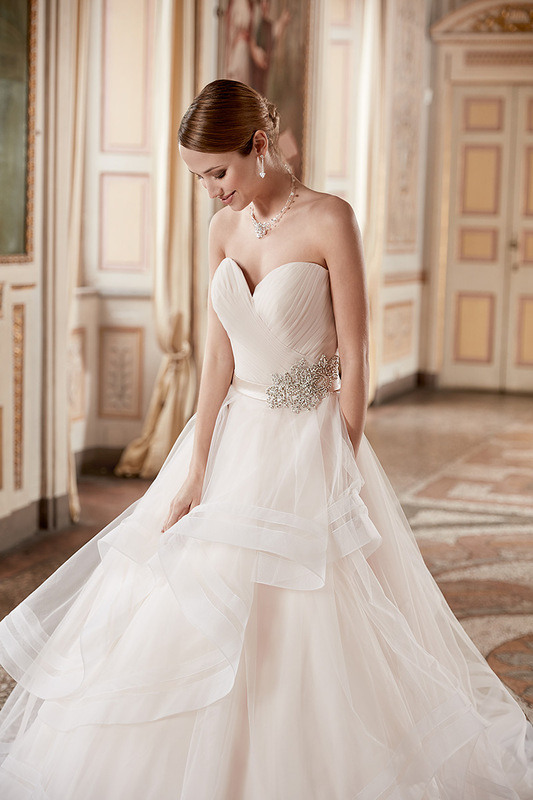 Sweetheart neckline with crystal detail at the waist. Tulle A line wedding dress. Colour Champagne/silver. Also available in Ivory/silver. AK160 has been successfully added to your shopping bag.